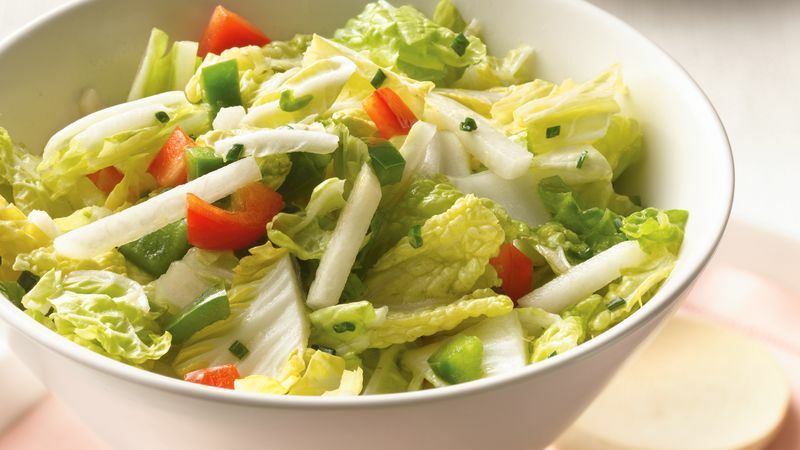 Napa cabbage originated near Beijing and was viewed as a sign of prosperity. It’s one of the healthiest foods in the world. Napa cabbage is incredibly low in calories and packed with many antioxidants such as carotenes, phenols and flavonoids. It’s an abundant source of dietary fiber, a mainstay for preventing type 2 diabetes, high in vitamin C and a good source for the cancer preventing compound sinigrin. 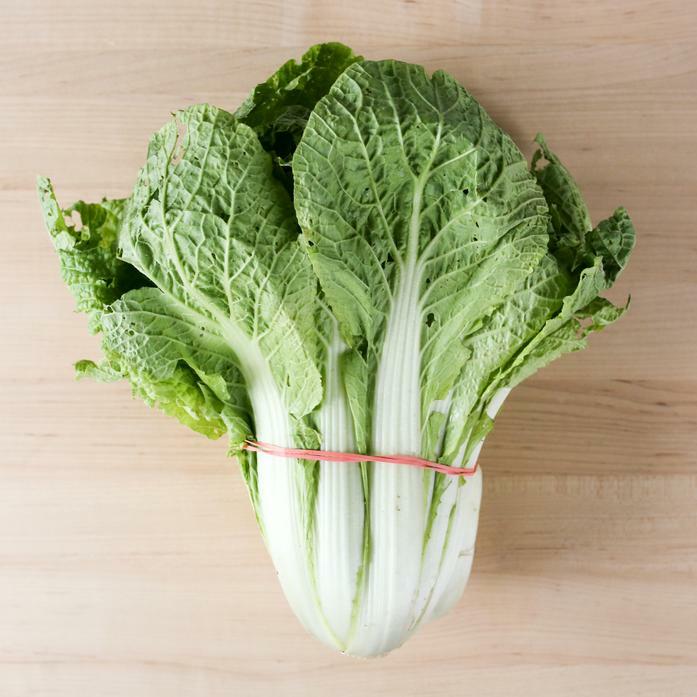 Sweet, crunchy, flavorful Napa cabbage can be eaten raw or added to salads, sandwiches, and burgers. It can be used to prepare coleslaw or kimchi. In Korea it’s used as a wrap for pork and the outer leaves are used in soups. Sautéing is the best way to preserve its delicate aromatic flavor. It can be used in stir-fry with shrimps, tofu, mushrooms, peppers, and ginger. Versailles Farms cultivates Napa cabbage in the cool months of autumn when the days are short and the pests are few. And it can be stored for 2-3 months after harvest. We eat Napa cabbage raw. It’s our favorite cruciferous green. We also add it to a clear-broth with Udon, shaved radish and shiitake mushrooms.